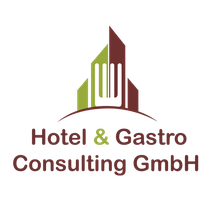 Center of Expertise for Hotel & Restaurant Real Estate - hgconsultings Webseite! Having worked in the tourism industry for 26 years and built a reputation for being an expert in the field of hotel and restaurant consulting, in particular in financing and legal matters. My passion for the hospitality industry drove me towards my current area of expertise: hotel development, transaction and succession planning. After working in the banking industry, accounting and tax consulting, I then founded a tax consulting and accounting firm. With obtaining a degree in tourism, I later focused on consulting for international hotels and restaurant operations and then attained different positions as an external consultant for hotel groups, pre-opening mandates, primarily in Eastern Europe, and diverse asset management mandates. It would be my pleasure to bring my experience and expertise into your hotel or tourism project. I “grew up” in the tourism industry, completed my studies in Dresden, Germany and Vienna, Austria and was able to gain experience abroad in Canada, the Canary Islands and South Africa, naturally - with all its ups and downs. My continuing education in business and marketing/graphic design strengthened my theoretical knowledge. I worked in the hotel and food service industry and as a tour operator for smaller family-run businesses as well as for the big “players” on the market. Through extensive world wide traveling, I was able to build a strong, personal and professional network, which will enable me to realise interesting tourism projects.